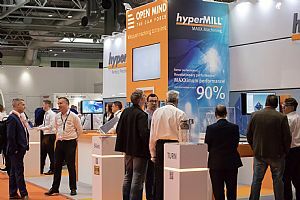 MACH 2018 started in spectacular fashion for OPEN MIND Technologies with the CAM specialist selling three seats of hyperMILL CAM software in the first two days, an additional four by the end of the show and another three in the week after MACH. 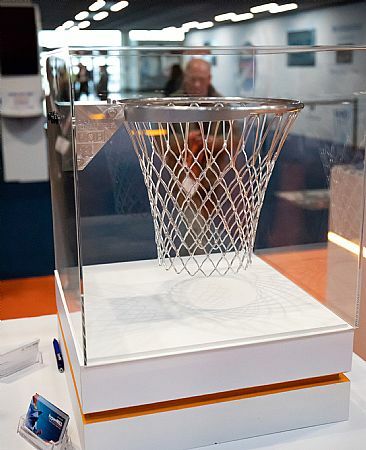 Located at the entrance to Hall 17, the prime position yielded an unprecedented level of enquiries and sales. Four of the seats were sold to prestigious subcontract manufacturers whilst another seat was sold to Iver based Newmax Precision. The Buckinghamshire aerospace and defense manufacturer is taking delivery of its first 5-axis machining centre in July, a Matsuura MX330. Realising its existing CAM software will not deliver the 5-axis machining strategies to drive the Matsuura, Newmax Precision Director Mr Adrian Bundy visited MACH to buy a seat of 5-axis CAM software. hyperMILL was the preferred choice. For engineers looking for a paradigm shift in turning strategies, OPEN MIND had the answer here too. The new Vandurit rollFEED® turning system is a collaboration between Vandurit and OPEN MIND that now offers an exclusive hyperMILL® CAM strategy to match the groundbreaking roll turning development. This collaboration introduces a new solution for CNC turning that increases process reliability and significantly reduces machining times and tool-wear by up to a staggering 90%. Commenting upon OPEN MIND Technologies performance at MACH, Sales Director Mr Ken Baldwin says: “We had a couple of hundred leads from MACH and we did countless demonstrations. We were phenomenally busy throughout the week and at times the interest level was quite overwhelming. 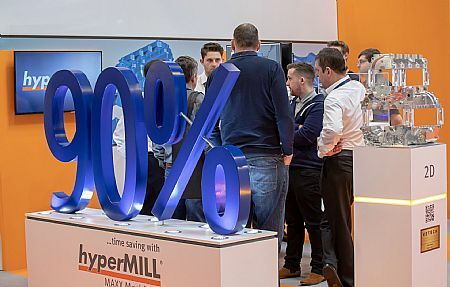 Compared to MACH 2016, it is evident that the OPEN MIND brand has really grown and there is a huge swing in the industry from other CAM vendors to hyperMILL. There were very few ‘casual’ walk-on visitors at MACH; everyone that approached us was a serious buyer that was seeking us out.